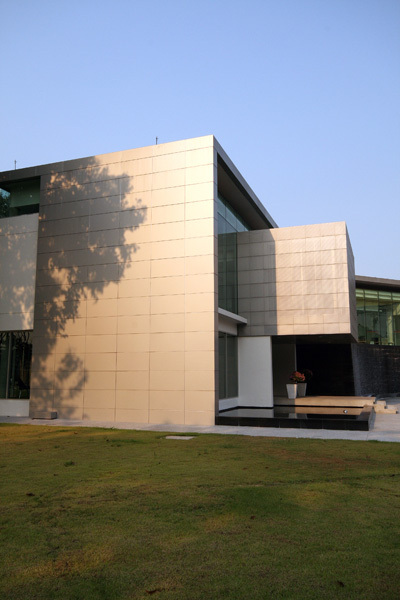 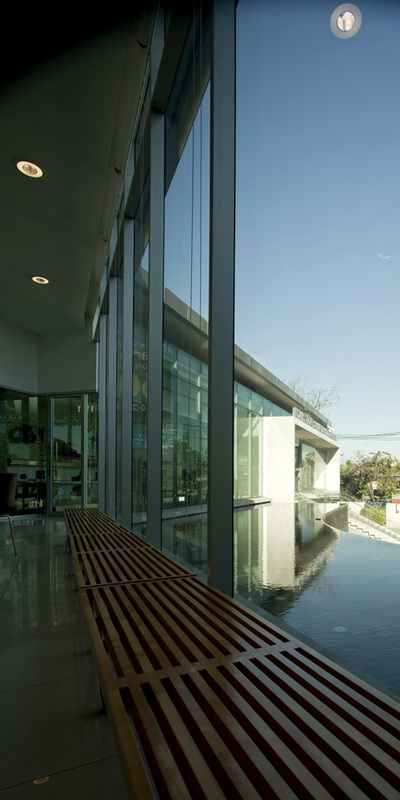 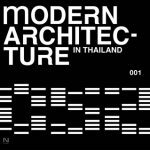 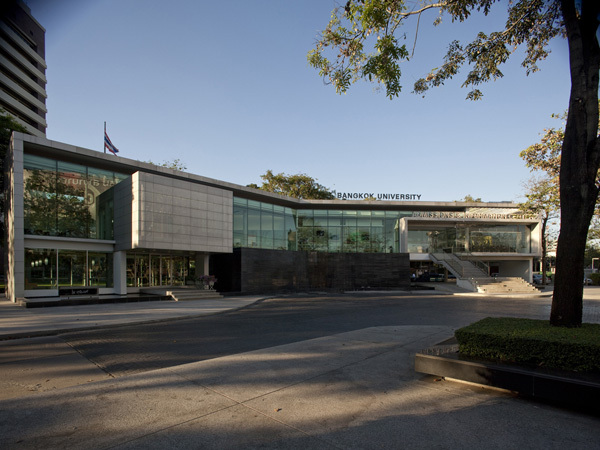 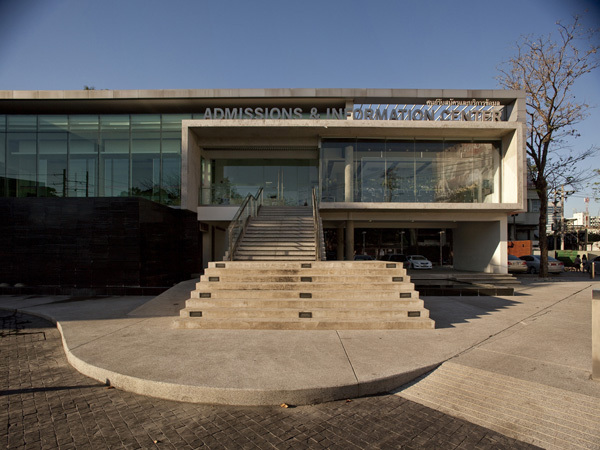 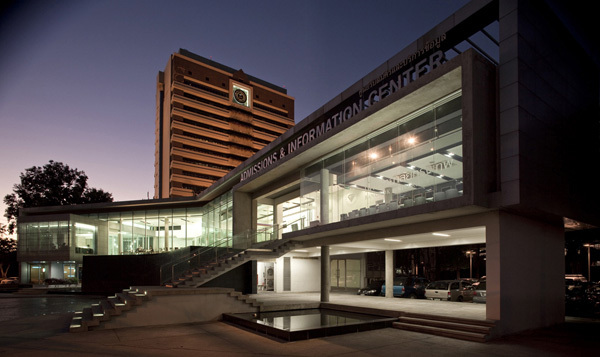 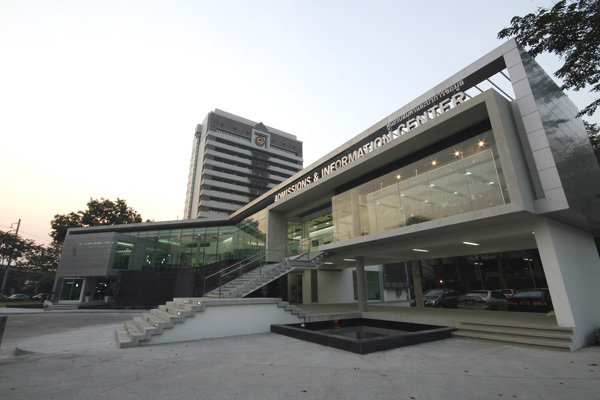 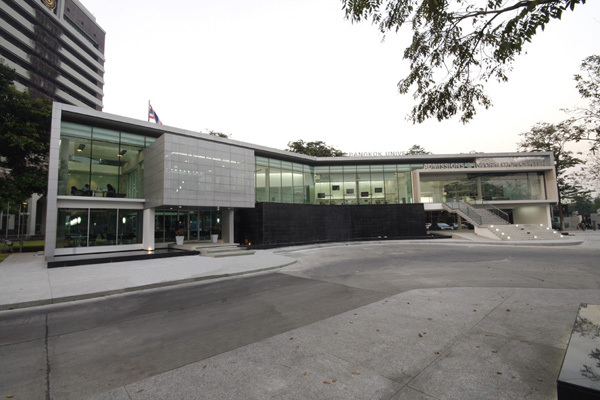 PROGRAM: Bangkok University Admission and Information Center building is a mix used building. 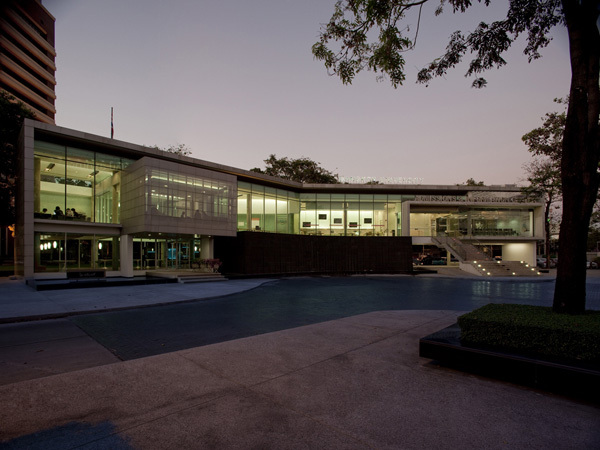 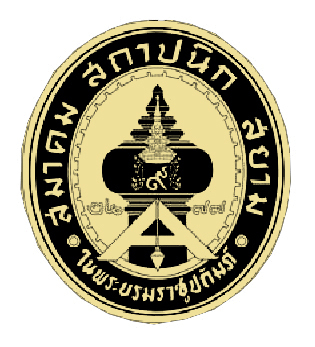 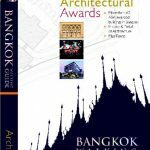 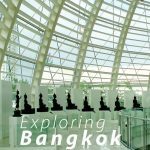 it’s include various programs to support many activities in Bangkok university campus, Three main programs of this building are admission and information center serve as information, admission area also functions as living room of the university. 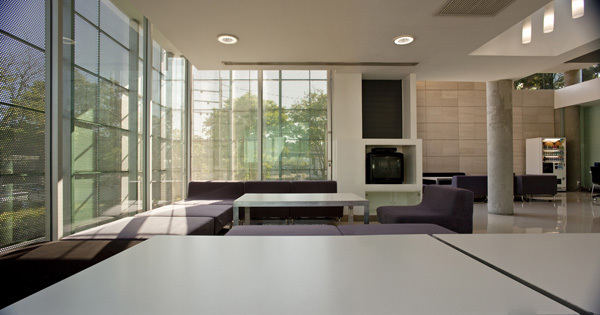 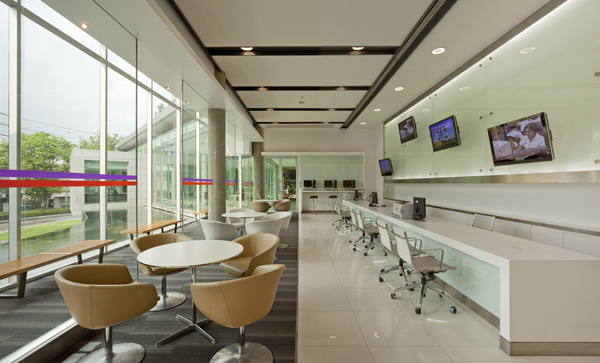 The second program: Student lounge area is a place for student activities such as study and research group, relax etc. 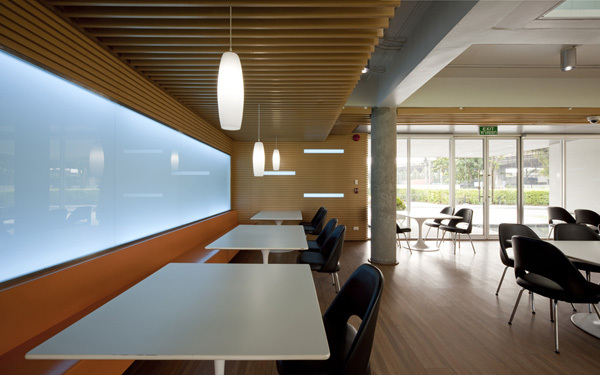 and the last one is 80 seats restaurant for public and student training. 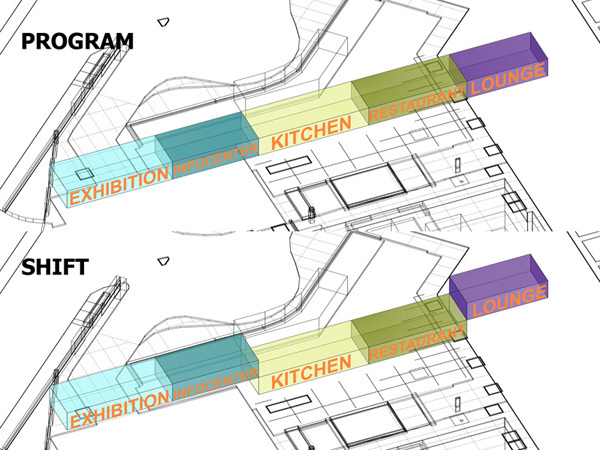 SHIFT: After analyze all programs and put them on the site, information center and student lounge programs were shifted to the upper level for clearly visiblefrom the main street. 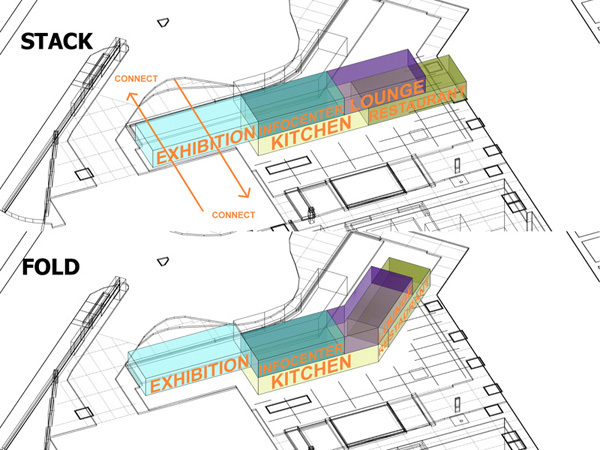 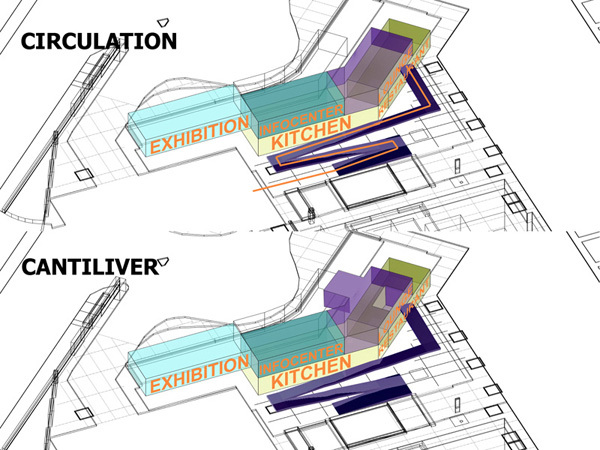 STACK: when 2 main programs were lifted to the second floor, Under information area were leave as open space for the flow of circulation on the campus where as other area on the lower floor were used for service zone and restaurant. 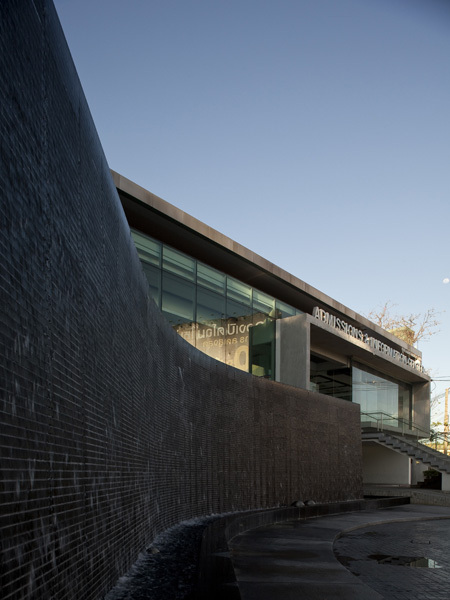 FOLD: In order to match with the view from the main street and front façade of the campus, the building was folded to correspond with the environment. 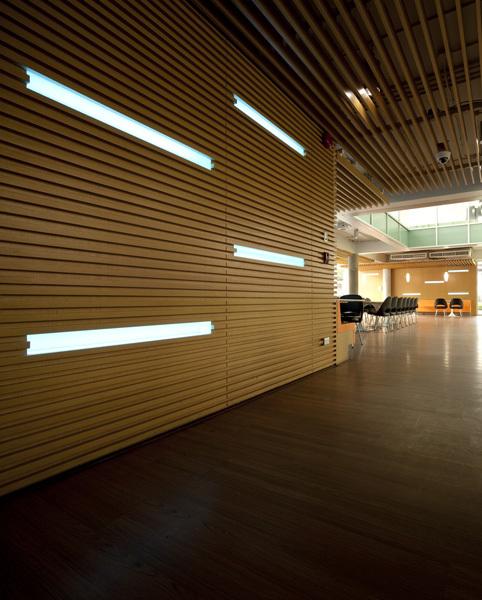 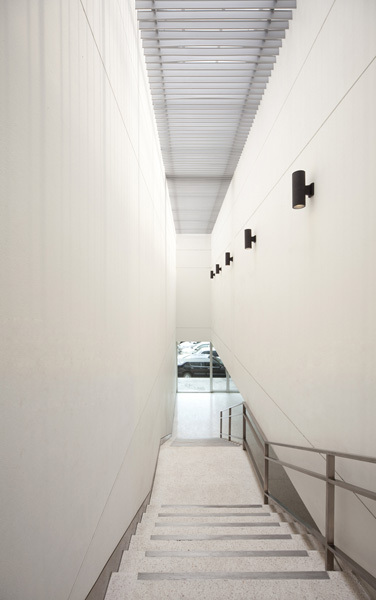 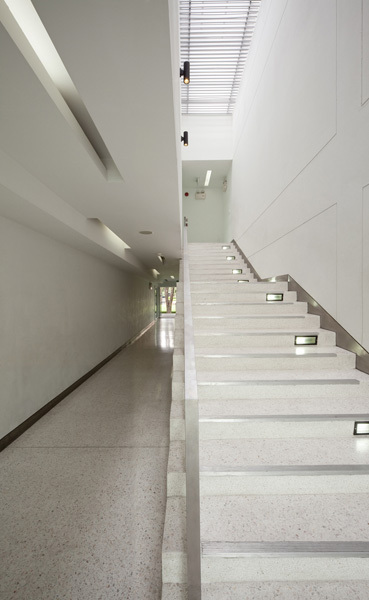 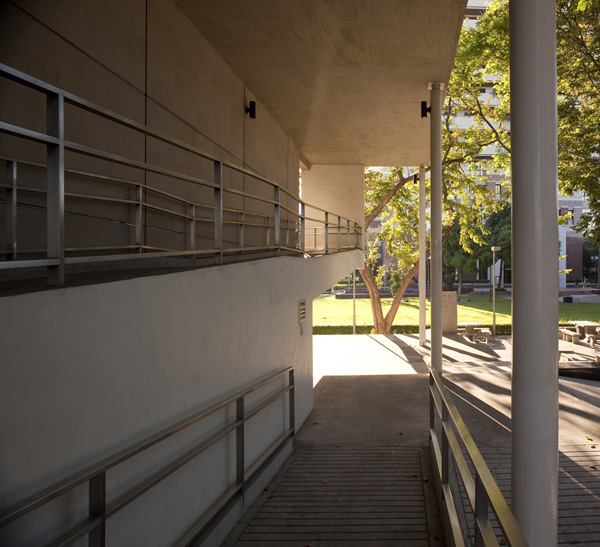 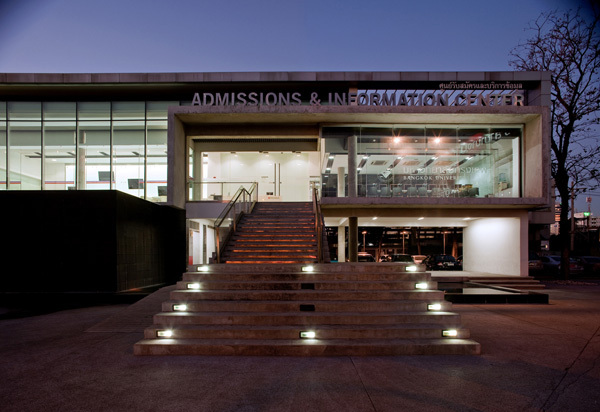 CIRCULATION: To connect the building with the landscape and the building nearby such as canteen and library ramp and stair were provided to link the second floor of the building. 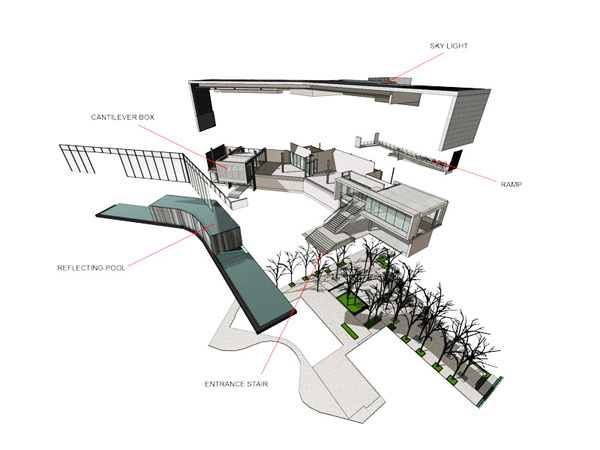 CANTILEVER: On the second floor, some area on student lounge was pushed out for approach of the restaurant entrance on the first floor and makes the student area close to the reflecting pool. 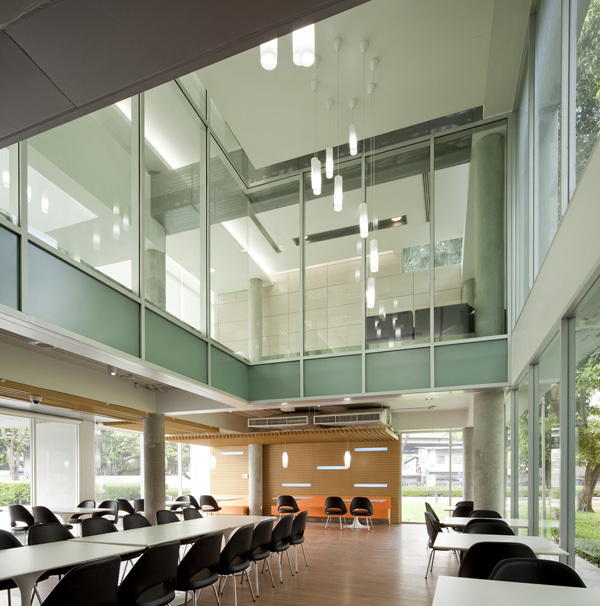 CANTILEVER BOX:The cantilever boxat student lounge is cover withdouble layer skin. 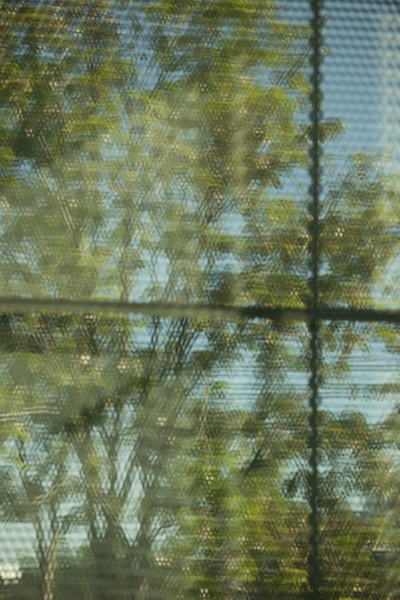 The inner layer is transparency glass. 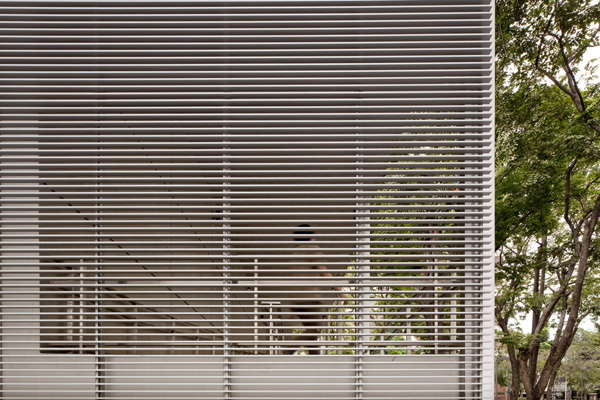 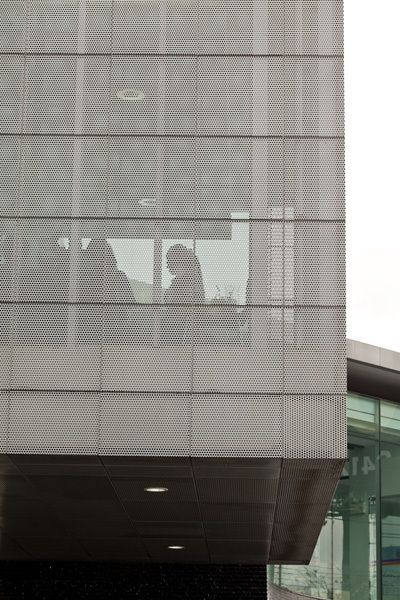 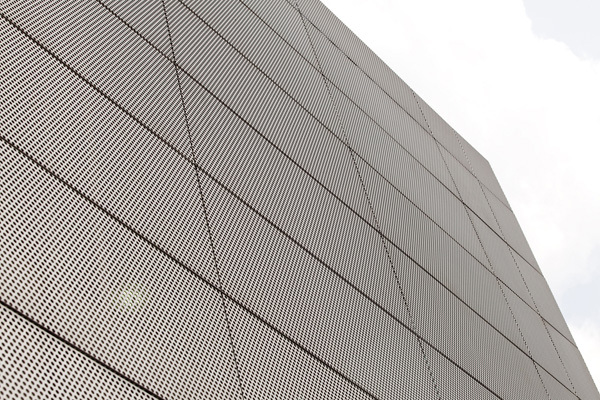 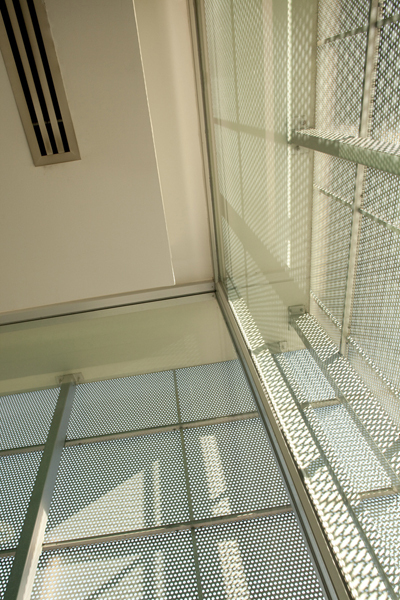 The outer skin is perforated aluminum panel which continue from interior space to cover the cantilever box. 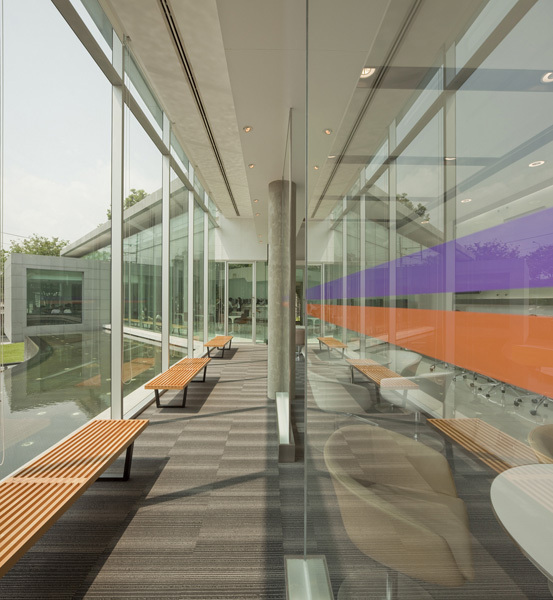 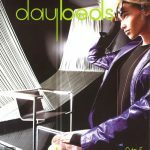 The effect of this double layer skin is it opaque at day time which provides privacy for student lounge and transparency at night time which provides security. 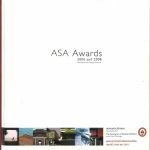 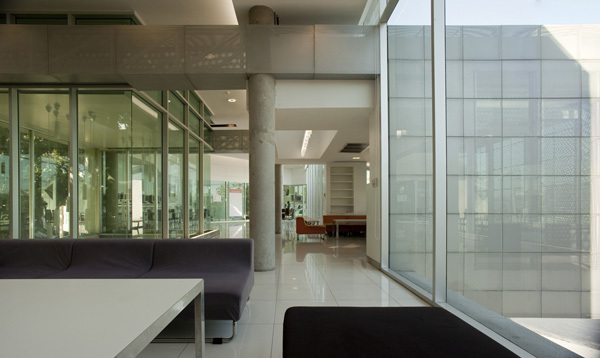 MATERIAL:The main material is Painted plastered brick wall. 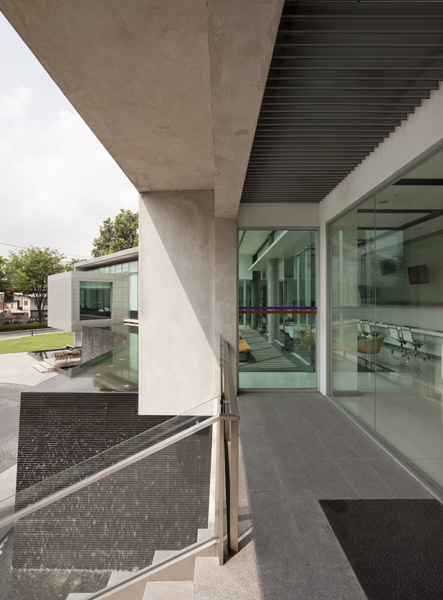 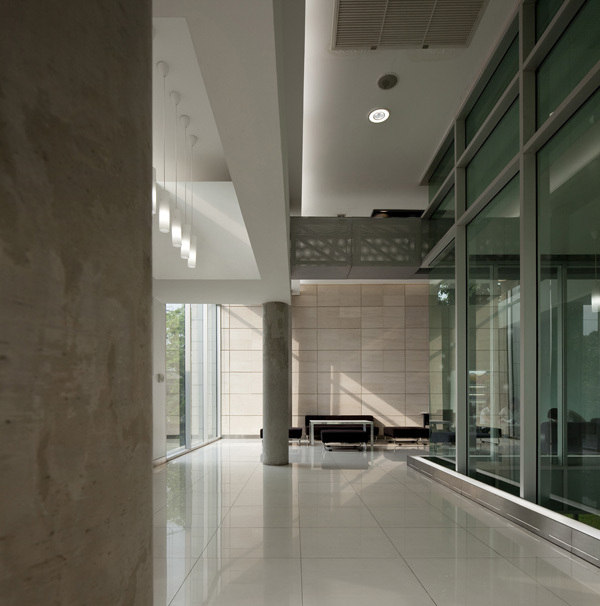 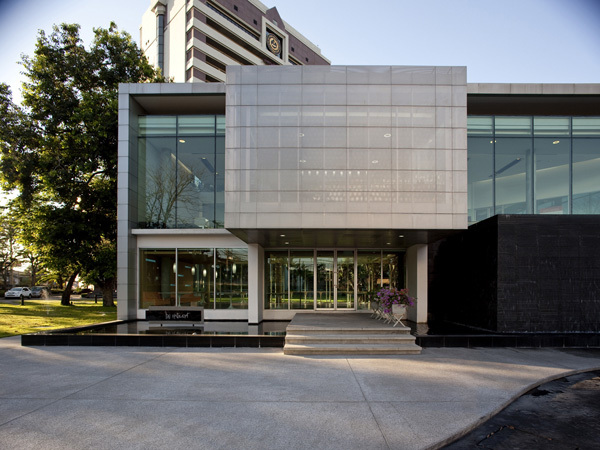 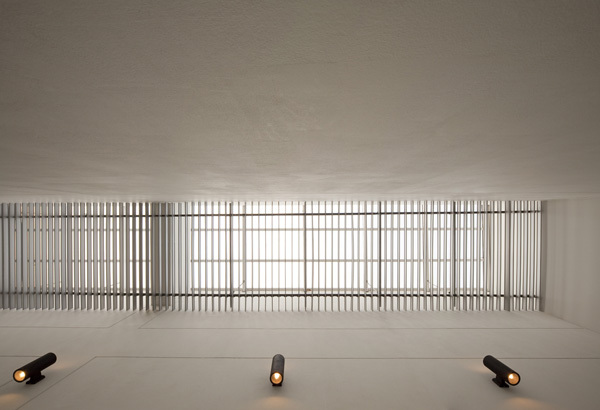 The admission center is frame with concrete and opaque glass to communicate with the street. 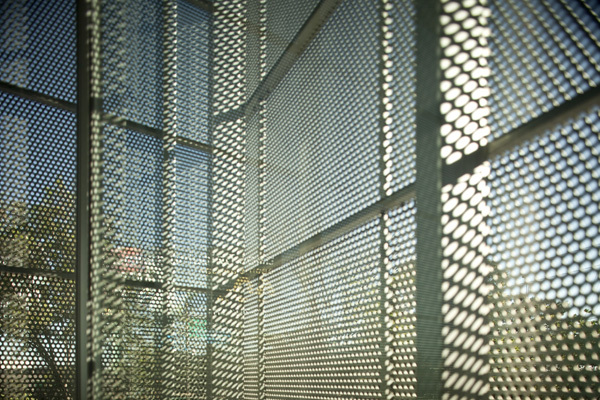 The other functions are cover with tinted glassed.